Ok so it must be something to do with the time of year, what with the impending party season and everything looking so über glamorous in stores, because I’m back on with the statement jewellery again. I’m not normally one to shy away from this and I certainly don’t just reserve it for nights out….oh no, done in the right way you can get away with statement jewellery during the day too. 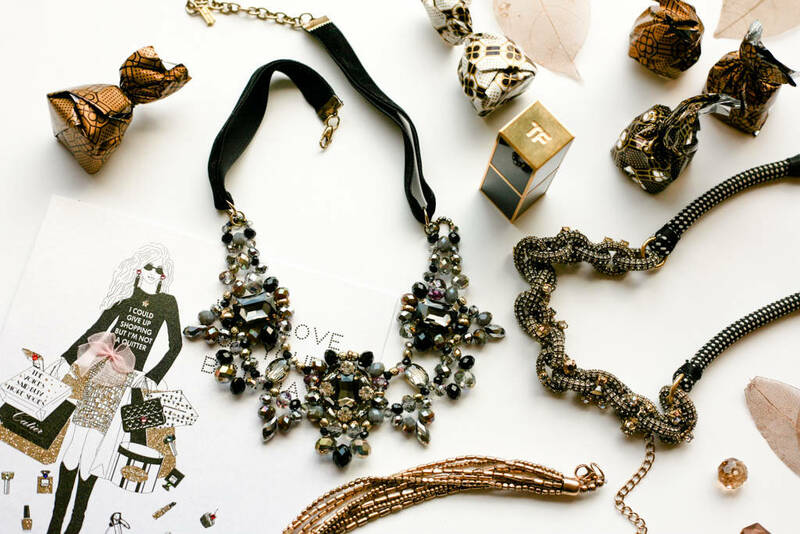 There’s nothing like a statement necklace but like anything my advice would be DON’T OVERDO IT. Sounds simple enough but so easily done. 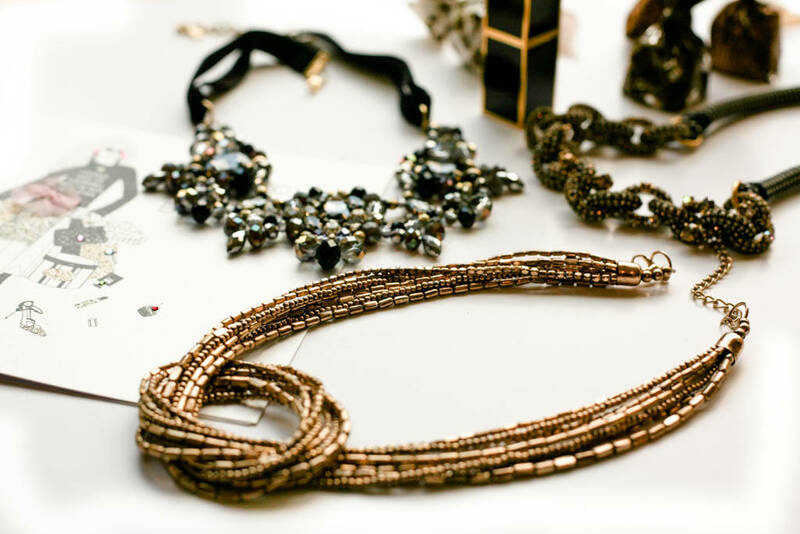 A statement necklace really catches the eye and becomes a key focal point, so I thought I’d share a few of my styling tips with you. As a general rule, if the outfit already has too much going on like a heavy print or lots of embroidery, chances are you don’t need a statement necklace as it should be used to bring out the outfit, not get lost in it. The colours should compliment each other and not clash but that doesn’t necessarily mean that everything has to be matchy matchy. Think of a cream outfit with a coral necklace (in fact you could probably go multi-coloured here), red with gold, blue with grey, camel with brown….the options are endless and it depends on your whole look. Of course if you want to play it safe, then a jazzing up your plain black outfit never goes amiss. During the day I normally keep all other jewellery to a minimum. Earrings will just be some low-key studs, no bracelet, no rings (unless very simple) and just my watch. For nights out, I don’t mind pushing things out a little with maybe some slightly larger studs and a cocktail ring, or a simple bracelet may feature as well. A bit of a strange one but be mindful of where you want the necklace to sit on you as this can make a difference. 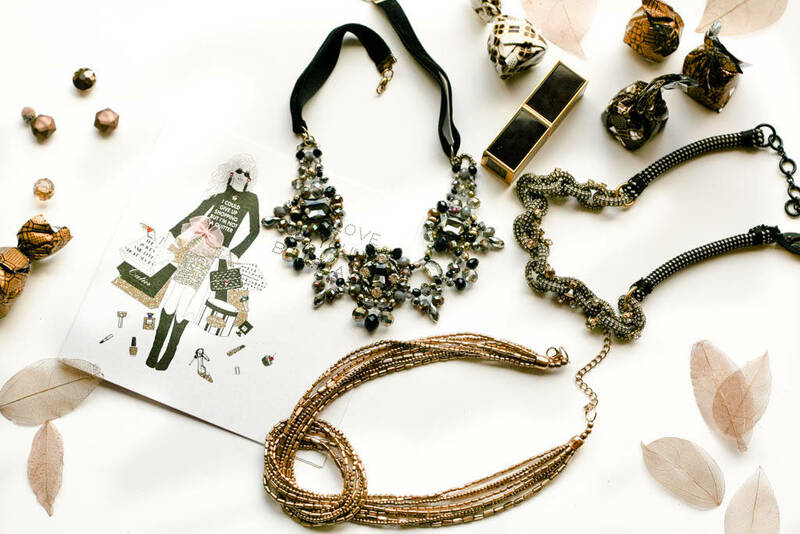 Depending on the structure of the necklace and your actual outfit, adjust the chain accordingly. If the necklace is rounded, for instance, I like it to follow the natural neckline of my top or dress.